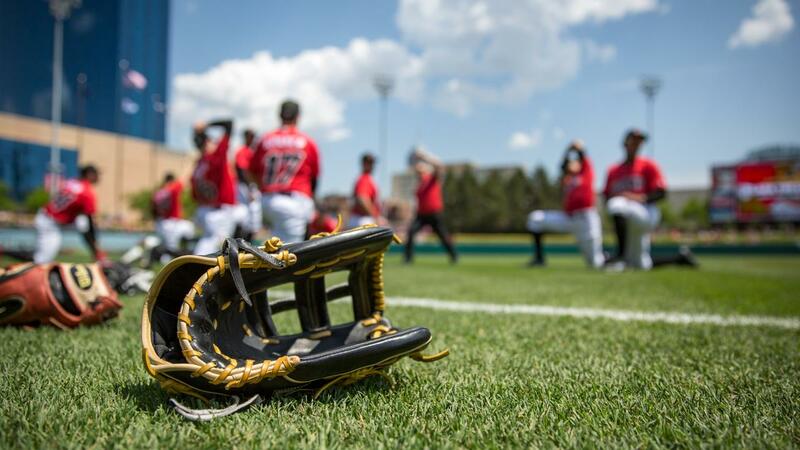 INDIANAPOLIS - As the Indianapolis Indians prepare to start another season at Victory Field, the organization has announced two promotions in its front office and welcomed several new staff members in recent weeks. The Indians open their season at Columbus on Thursday, April 4. The Tribe's home opener is Thursday, April 11 when they host Charlotte at 7:05 p.m.
Garrett Rosh has been promoted to inside ticket sales manager. Garrett has been with the Indians for the past five years, starting as a ticket sales executive before being promoted to senior ticket sales executive. In his new role, Garrett will lead a team of seasonal inside sales representatives focused on specific ticket programs. Garrett is a 2011 graduate of IUPUI with a bachelor's degree in sport management. The Tribe's two most recent promotions are Bobby Martin and Kieron Hubbard, both in stadium operations. Bobby is the home clubhouse manager, a title he has held in a seasonal capacity since 1997. Now full-time, Bobby will be at Victory Field throughout the year assisting in the operation and maintenance of the stadium. Ki has been on staff since 2013, serving in seasonal roles as assistant clubhouse manager and stadium operations support. In his full-time role, Ki will be assisting around the ballpark and concourse throughout the season. Courtney Fowler joins the Indians as a ticket sales account executive after a successful stint with the Durham Bulls as an inside sales account representative. While in college, she interned with the Tampa Bay Lightning in client services and the Tampa Bay Buccaneers in guest relations. Courtney graduated in 2017 from Saint Leo University with a bachelor's degree in sport business. Jeremy Smith is the Tribe's newest corporate sales account executive. Most recently, Jeremy was the director of communications with the Richard M. Fairbanks Foundation and director of new business development with Emmis Communications. His background also includes stops at IU Sports Properties, the NCAA and Riley Children's Foundation. He is a 2002 graduate of Indiana University with a bachelor's degree in sports marketing & management. Indianapolis Indians season tickets, multi-game plans and tickets for groups are now available. Single-game tickets go on sale Friday, March 1 at 10 AM. To purchase, visit IndyIndians.com or call the Victory Field Box Office at (317) 269-3545.